Hands down my favorite place in Vancouver is Stanley Park. We went there nearly every day during our trip (yes, it really is that great) and never ran out of things to see and do. Bordering the northwest coast of Downtown, this forested peninsula has always been a part of Vancouver’s identity. In fact, the city was founded in 1886 and Stanley Park, which is named after Canada’s sixth Governor General Lord Frederick Stanley (as is the NHL’s Stanley Cup), officially opened only 2 short years later in 1888, making it the city’s largest and oldest park. Even earlier, there is archeological evidence of Squamish indigenous people dating back 3,000 years before the first European explorers came in 1792 (which included British Captain George Vancouver). 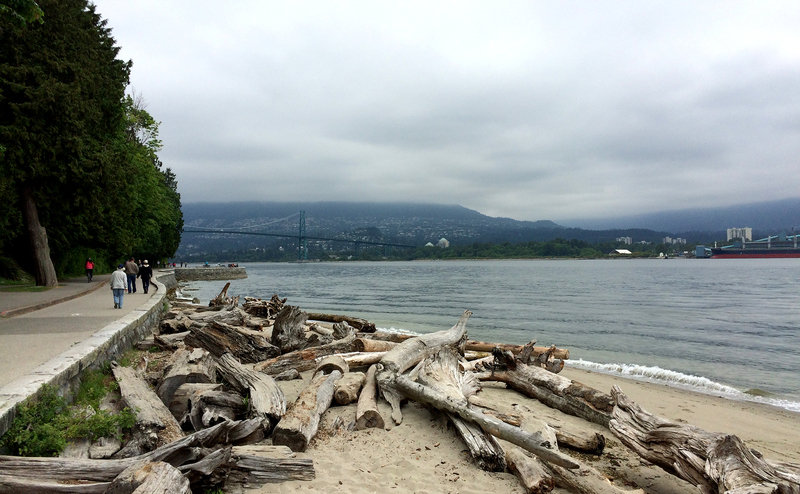 Today visitors and locals alike are drawn to this 1.5 square mile park for its beautiful outdoor surroundings and variety of activities – from hiking trails and beaches to playgrounds and the Vancouver Aquarium. There’s definitely something for everyone, plus you’ll find a handful of dining options and a surprising amount of restroom facilities, so you can easily make a day out of it, from sunrise to sunset. 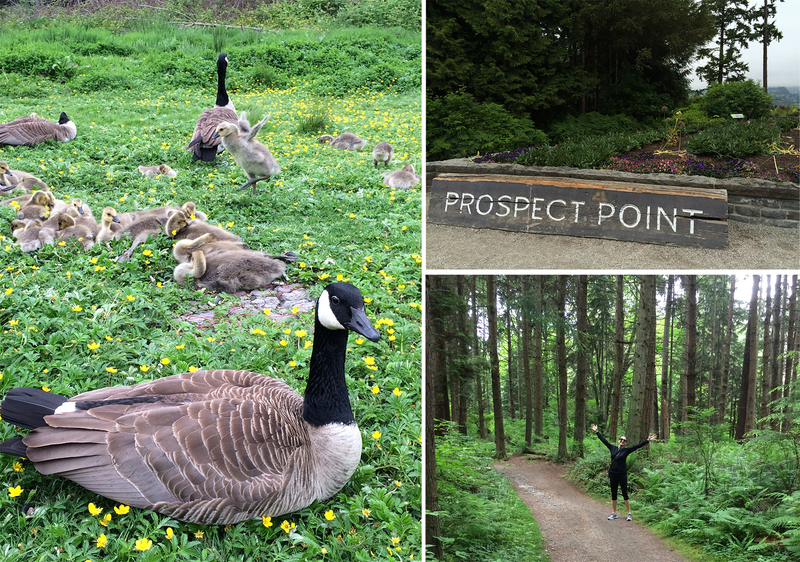 Here are my top 5 favorite things to see and do in Stanley Park. 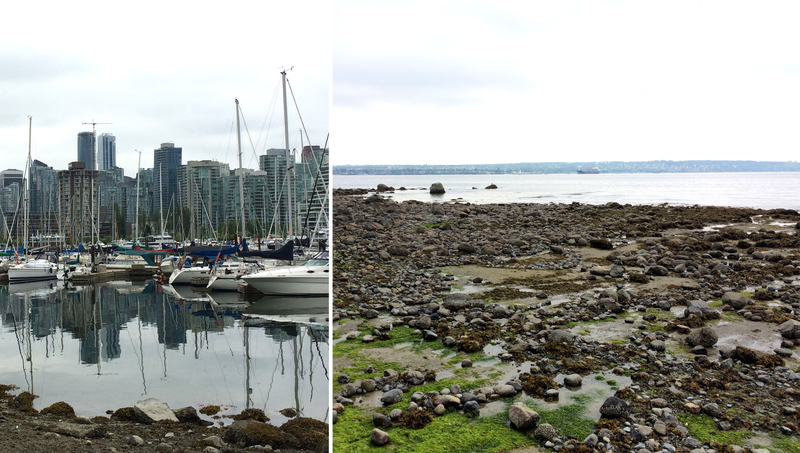 Constructed around Stanley Park between 1917 and 1980 to prevent erosion, the Seawall makes up part of the world’s longest uninterrupted waterfront walkway, stretching from Canada Place to Kitsilano Beach. You can walk, run, bike or even roller blade the 5.5 mile (9 kilometer) loop around Stanley Park, or pick one activity one day and come back the next to do another (like we did 3 days in a row). What’s also nice about the Seawall is that the path is divided so that cyclists and skaters go counterclockwise on the inside lane, keeping them separate from walkers and joggers. Connecting Stanley Park with North Vancouver across the Burrard Inlet, this teal-colored suspension bridge first opened in 1938, one year after San Francisco’s Golden Gate Bridge. Construction of the 1.1 mile long bridge provided employment during the Depression Era, and the Guinness brewing family was a significant financial backer of the project. Its name refers to a pair of pointed mountain peaks in the north called “The Lions”, and on the south end of the bridge you’ll find a pair of cast concrete lion statues flanking the entrance. The Lions Gate Bridge also inspired the name of Canadian-based production company Lionsgate (who is behind movies such as The Hunger Games franchise). 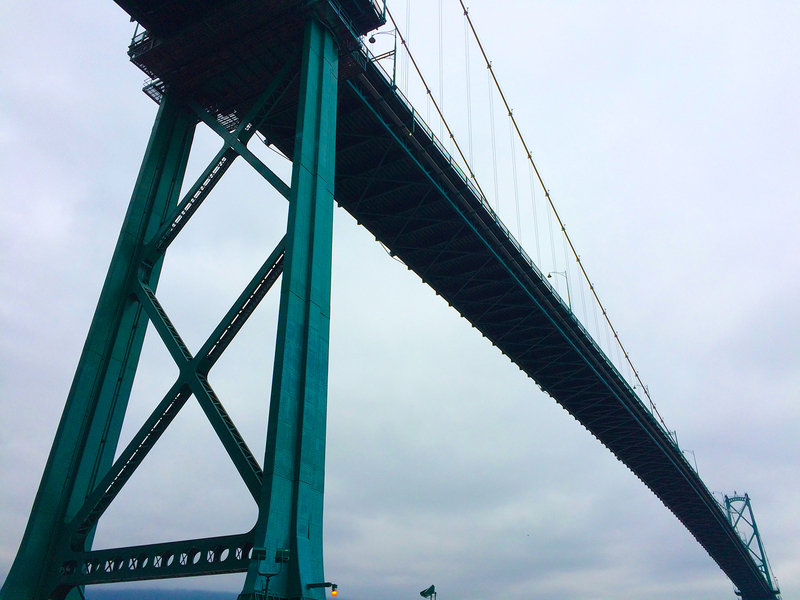 You can get an up close and personal look at the bridge as you walk along the Seawall, or for the best vantage point from above head to Prospect Point, the highest point in Stanley Park. What’s intriguing about this lake is that it’s not the traditional large, open body of water that you may expect. Rather, Beaver Lake is a serene marsh that is densely packed with vegetation and home to beavers, birds, fish and other wildlife. 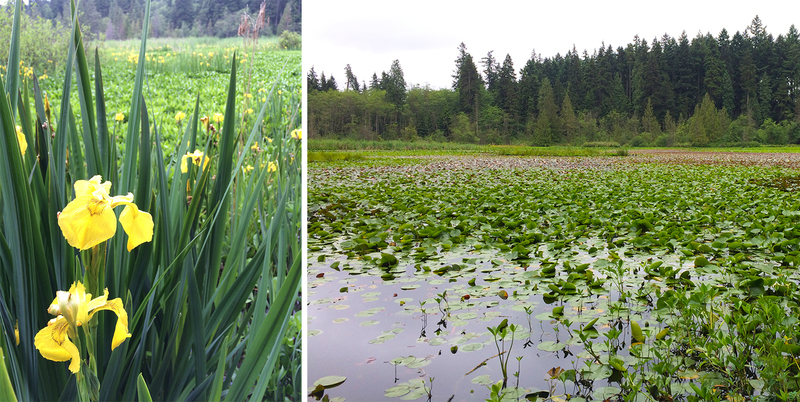 Once having a surface area of nearly 10 acres, we learned that this freshwater lake is slowing “shrinking” due to the accumulation of sediment and overgrowth of invasive plants like water lilies (which were first introduced in 1938 for the Queen’s Jubilee). Beaver Lake runs the risk of disappearing completely by 2020, but luckily the city’s park board recently approved a plan to help save this magnificent lake. The lake is rather secluded towards the middle of Stanley Park, but is easily reachable via one of many hiking or biking trails. 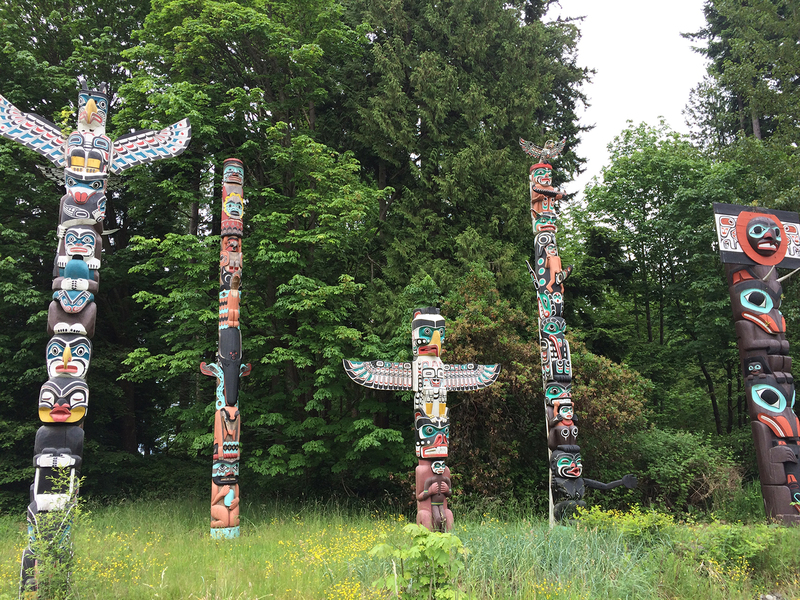 One of the most popular images of Stanley Park is that of 9 towering totem poles. 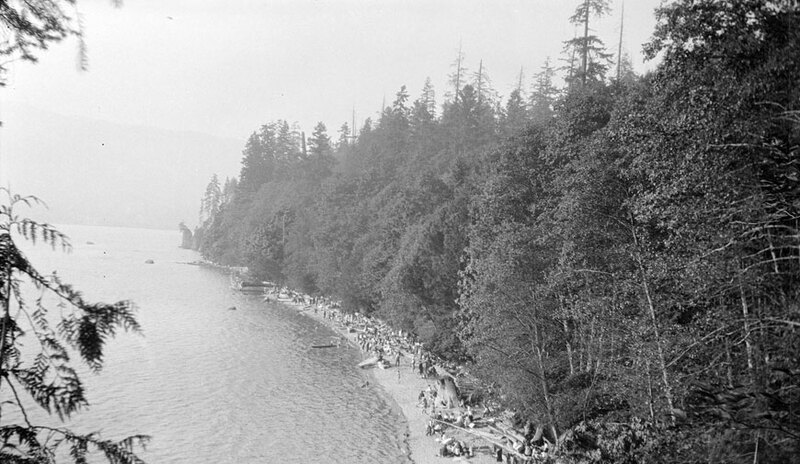 Most were purchased in the 1920s and 30s from various locations in British Columbia, and were moved to their current spot at Brockton Point in 1962. Since then, many have been replaced by replicas while the originals were sent to museums for preservation (the oldest one dates back to the 1880s). The most recent edition was added in 2009, and was carved by a member of the Squamish Nation whose mother was born in Stanley Park. Highly symbolic, totem poles were originally designed to communicate and commemorate important people or events through the use of animals and other figures. The vertical ordering of these carvings represents a hierarchy, with the most important figure on top (hence the commonplace phrase “low man on the totem pole”). Also nearby you’ll find a red and white striped lighthouse, which has stood at Brockton Point since 1914. Last but not least, Stanley Park is home to more than 16 miles (27 meters) of forest trails that weave through the park’s interior. 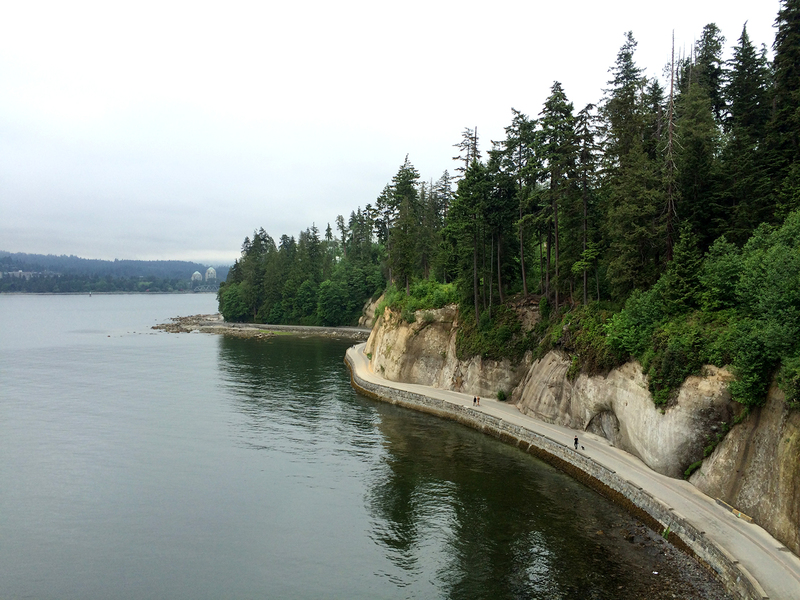 Whereas the Seawall boasts a broad open view, the terrain inside the park ranges from peaceful meadows (where you’ll likely to see a gaggle of Canadian geese grazing) to lush West Coast rainforests. Regardless of whether you’re hiking or biking, there’s so much to explore. It really feels a world away and is hard to believe that that you are just minutes outside the urban heart of Downtown Vancouver. Me too, it’s such a beautiful ride!